On this past Monday my son called me and asked if I would meet him at lunch time to run some hills with him. I couldn’t turn him down. 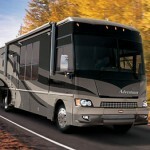 In fact I had been going back and forth with putting more road work into my daily training routine. Let me just put this out there, I HATE RUNNING. The Maryland State Police can be thanked for that. But being convinced to leave my office to run 15 steep grassy hills could only be done by my oldest son under the guise of father/son bonding. 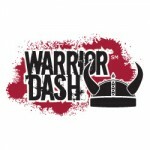 Later Monday evening I decided to register for the Saturday, May 18, 2013 Warrior Dash. In my zeal to do so I placed a challenge on the core BPI team. To date I have confirmations from Brian “Ice” Diggs, Mark “Minister” Fair, Charles “Rokstar” Harley and Kenneth “Doc” Thomas. After I put the challenge on the team and got the immediate confirmations I put another challenge on myself. Starting the next day [Tuesday] I changed my workout routine back to a crossfit/endurance/strength program. To initiate that challenge to myself I paid my son back by making him do a crossfit complex at 1700 hours last night. We did 5 exercises in succession for 30 seconds each exercise with a total of 5 rounds. The workout took just under 30 minutes with no rest. I was smoked after we were done, however I know what I need to do in order to prepare for the Warrior Dash. So why am I posting this today? It’s simple, I challenge specialists and company owners on the blog regularly, so no I am putting myself on BLAST so that everyone subscribed to the blog can hold ME accountable for getting ready for the Warrior Dash. I will track my progress from time to time so that you will know that I am sticking to the challenge and not damage my reputation as a man of his word. For today, I was in the gym at 0400 as normal and did my regular Wednesday workout, BUT after I finished it I pushed myself to do a 3 exercise endurance complex which forced my muscles to work past the pre-exhausted workout. My weakness has always been maintaining the correct dietary regimen for my body type. I am a meso-endomorph which means that I have an easy time building muscle and strength however I know that I am carbohydrate sensitive. I grew up on rice everyday and that has to go. The best nutritional regimen for me is the Paleo diet. So starting Monday I am back on it-STRICT! This is not new territory for me because I have been a gym rat since High school but only fine tuned my dietary routine about 4 years ago. If you want to join the BPI Team in May, we would love to have you with us. 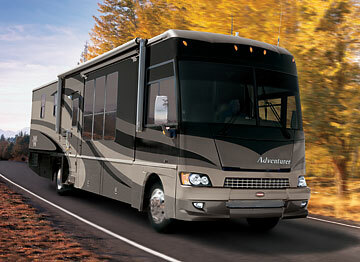 In fact we are pulling out the Winnebago and road tripping as a team. Get registered and get on with us.